Fifth Third Bank launched a new Maternity Concierge program for female employees who are pregnant or who have a baby up to 1 year old, to help with everything from planning baby showers to researching child care options. "The Maternity Concierge program is part of Fifth Third's commitment to provide an environment and culture where working mothers can not only succeed, but also excel," said Teresa Tanner, chief administrative officer at Fifth Third Bank and visionary for the program. "It has been great to see how we can provide support to women during this critical time." "We know that being pregnant and having a new baby can be very exciting, and also very stressful," Tanner said. "So as a company, we wanted to find a way to celebrate this new life, and to provide support to our new working moms." In the program's first four months, more than 170 women enrolled. The service, provided through Best Upon Request, is offered at Fifth Third's corporate headquarters in Cincinnati as well as virtually throughout the Bank's 10-state footprint. The program was designed to assist women with the unique challenges they face during pregnancy, after the baby is born and especially upon their return to work. The free Maternity Concierge program benefit begins at pregnancy and women work directly with a concierge specializing in maternity needs, who can help with everything from finding photographers to shopping for items such as robes and nursing bras for the woman's hospital bag. Lexus Smith, a customer service representative for Fifth Third and mother of 12-week-old Zavier and a 5-year-old daughter, said the program helped her plan her baby shower, run errands and find child care for her son. "It shows me that the company doesn't just care about me professionally, but they care about me as a person," she said. "My family is very important to me and this feels like a family-friendly company." Now that Smith has returned to work, she says the Maternity Concierge feels like a safety net. "I know that I have someone who has my back, who can help me," she said. "It makes me feel so much less stress when I'm at work. I don't have to worry about my family when I'm here. And when I'm home, I'm just enjoying time with them." 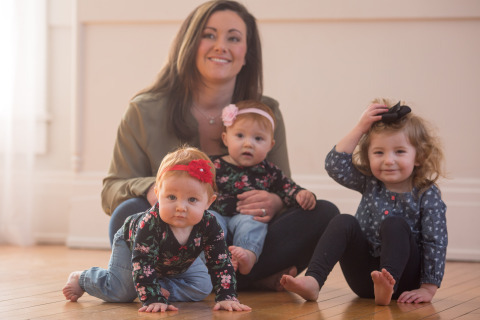 The two full-time Maternity Program concierges find themselves playing a mix of baby planner, personal assistant and confidant. "While the list of how we can help seems almost endless, we've found the women using the program appreciate the small requests like information on how to order a breast pump through insurance or scheduling meal deliveries," said Jessi Lima Bollin, vice president of marketing and communications for Best Upon Request. "The overall feedback has been that the extra help gives them peace of mind to focus entirely on work when they're at the office and entirely on their family when they're at home." Fifth Third asked Best Upon Request to collaboratively create a customized program that would serve its pregnant employees and new moms. Fifth Third has worked with Best Upon Request, a minority- and woman-owned company, since 2013 to provide traditional concierge services to employees at two of its Cincinnati campuses and its offices in Grand Rapids and Chicago. For information about careers at Fifth Third or job openings, visit 53.com/careers. In business since 1989, Best Upon Request is a certified Minority and Women Business Enterprise, and Corporate Plus® Member of the National Minority Supplier Development Center, providing on-site concierge services to organizations nationwide. BEST helps employees save time and decrease stress, resulting in increased engagement and commitment to their employer. For healthcare clients, BEST also takes care of patients' non-medical needs to improve the patient experience. With on-site offices in 10 states, BEST serves customers in 20 states and Puerto Rico.